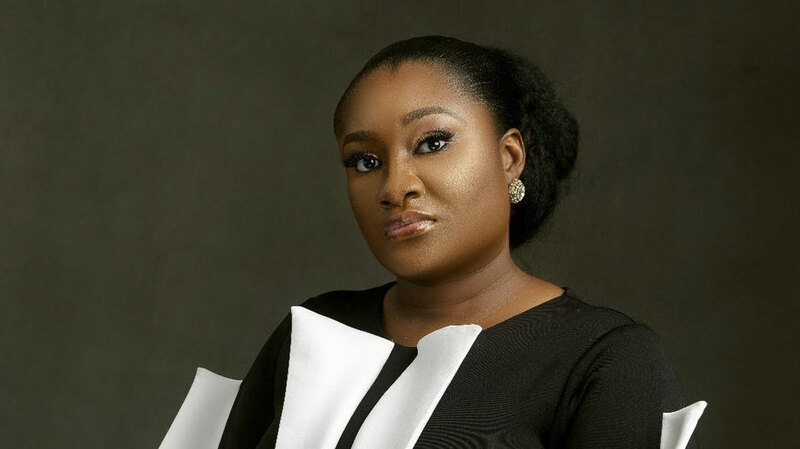 The reputable platform for women empowerment in Nigeria, Women in Management, Business and Public Service (WIMBIZ) is organizing its 17th Annual Conference in Lagos next month. In this pre-conference interview with GuardianWoman, members of the Executive Council of the organization speak on the mission, vision of the organization, its accomplishments and activities lined up for the conference. Tell us about WIMBIZ and the vision of the founders. WIMBIZ stands for Women in Management, Business and Public Service. WIMBIZ is a non-profit organisation formed in 2001 by 14 individuals to be a resource for professional women whether they are in careers or running their own businesses. Over the last 16 years, WIMBIZ has implemented programs that seek to inspire, empower and advocate for greater representation of women in leadership positions both in the public and private sector. 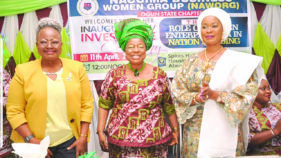 The organisation has a contributory associate pool of over 600 accomplished women in management, business and public service with over 5,000 women on its database. WIMBIZ collaborates with credible global organisations to deliver programs, which have influenced over 93,825 women since inception. Our vision is to be the catalyst that elevates the status and influence of women and their contribution to nation building. Our mission is to inspire and empower women to attain leadership positions in business, management and public service. The organization is hosting an event next month; kindly give us a sneak peek into what it’s all about. Yes we are. Next week on November 1 and 2 we are hosting the 17th WIMBIZ Annual Conference. The Annual Conference is our flagship event, which holds in November of every year and is attended by over 1,500 women from across the world to discuss a broad range of issues relevant to women in both private and public sectors. The theme this year is Unstoppable You: Reinvent and Reinvigorate! During this conference there will be keynotes, plenaries; and deep dive sessions on topics such as Entrepreneurship, Business Branding, Professional Development, Continuous Learning, Work-Life Balance, Happiness, Emotional Intelligence, Mental Health, Personal Finance, Nutrition, Leadership, and the Technology Take Over. This year also has several add on features such as a Speed Networking Breakfast where participants are taught how to construct their elevator pitch and then given the opportunity to meet 15-20 people in a pre-defined time frame. In addition, the winners of the 2018 Impact Investment Competition will be announced, and the recipients of the Female Achievers’ Awards will be honoured. Of course, the famous WIMBIZ Debate will round off the formal part of the conference. 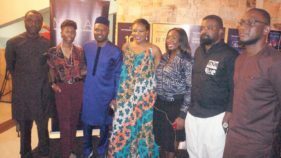 The 2018 WIMBIZ Annual Conference is taking place in Lagos. It’s not too late to register and attend in person. Even if you are not in Lagos but you want to be a part of the event you can register for the interactive live stream. You get to ask questions; give session feedback and participate in all the plenaries. Kindly review the activities of the organization since the beginning of this year. At WIMBIZ we run programs and events that fulfill one of four purposes: Inspire; Empower; Advocate or Connect. This year we have inspired teenagers (and in some cases pre-teens) through our Big Sister Program held in Ogun and River States so far, and Kebbi State before the end of the year. We’ve also inspired undergraduates through our Winning Without Compromise Program held each year at a different university, this year we took it to the students at the University of Jos. Finally, we inspired women through our Annual Lecture, which this year was delivered by former President Olusegun Obasanjo; and we will do the same through our annual conference coming up next week. We have empowered women through our Impact Investment Competition, which gives seed money to three female-owned businesses, which have a positive social impact. We have also empowered women through WIMCAP, a two-day business boot camp for SME owners. This year we held WIMCAP in three locations: Lagos, Abuja and Port Harcourt. We have also empowered women through a specialist Masterclass on Leadership this year and by running an eight-month Mentoring Program. We advocate for women through WIMBOARD (a program geared towards getting more women on boards); through WIMPOL (a program for women interested in public service); and through our CEO/Policy Maker Interactive Forum held in June this year. Finally, since the beginning of this year we have connected our Associates with each other as well as with people outside their day-to-day circle through face-to-face events like our Roundtable Lunches in Ibadan; Abuja; Port Harcourt; Victoria Island; Ikeja; Bonny and Accra; through electronic channels such as our WIMBIZ APP which is now available on iOS as well as Android; and finally through extraordinary events such as the networking breakfast meeting with the erstwhile Chairman and CEO of PepsiCo Mrs Indra Nooyi. You are also an author and publisher, how did you develop the love for writing? Why do you love writing children’s books? My becoming a children’s book author happened organically, almost accidentally. It was the result of becoming a parent and wanting to read more culturally-relevant bedtime stories. I search our local bookstores seeking more indigenous content reflective of our way of life. Indeed, there were some books there but certainly not enough. So, I started writing and eventually publishing Nigerian-themed children’s picture books that inspire, excite and educate children, parents and teachers. What challenges do women face in running successful businesses? Based on my experiences and observations, limited access to funding, social norms, fear of male counterparts, lack of support network amidst others. These things are what stand out all time, in my honest opinion. If this can be curbed, then women will have better stories to tell. 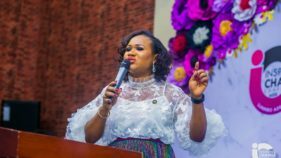 Another thriving factor is the need to juggle computing realities as a wife, mother, business woman, professional and manage so many other things. As the head of different business associations, what in your opinion should be the qualities of a good leader? There is no one answer to this question, the leadership skills you require depends on the space you are at every point in time. To be the leader of an NGO, the leadership qualities required is different from that of a law firm, the most important is to understand the vision and mission and be able to harness resources for the organization to provide value. The leader must be at the fore-front of events to help to shape the realities of the organization and not allow the challenges to overwhelm him/her, which sometimes means having to take risks and responsibility for when risks don’t pan out. One must allow the entire team to take credit for the successes. To lead, I must know and be sure of your vision and mission. Leaders must know what their mission is, they should know why the organization exists and every employee should be able to identify with the mission and strive to achieve it. A leader must be able to answer the question; where do you want your organization to go? It is worthy to note that a vision needs to be abstract enough to encourage people to imagine it, but concrete enough for followers to see it, understand it and be willing to climb onboard to fulfil it. That being said, there must be concise and specific goals set by leader, what do I mean? Like a vision, goals need to be operational; that is specific and measurable. If your output and results can’t be readily measured, then it will be difficult to know if you have achieved your purpose. Competency is key ,too, one must be seen by your advisors, stakeholders, employees, and the public as being an expert in their field or an expert in leadership. A leader also needs a strong team to compliment the areas of weakness. A wise leader assembles effective teams of experienced, credentialed and capable individuals who can supplement any voids in the leader’s skill set. This ability is what sets leaders apart from others. You must also build your Communication skills to a certain proficient level, same with your interpersonal skills. Then to get things going always, you must have A “can do, get it done” attitude: When employees see that their boss can lead and direct, has a clear vision and attainable goals, and actually gains results in a timely manner, then that person’s credibility increases throughout the organization. Inspiration: Quite often, employees need someone to look up to for direction, guidance, and motivation. The entrepreneur needs to be that person. Ambition: Employees need to be constantly striving for improvement and success; and they need to see the same and more in their leaders. When the boss is seen as someone who works to attain increasingly higher goals, employees will be impressed and more willing to mirror that behaviour. It’s a win-win for everyone. You wear many hats and also belong to different organizations, how have you been able to combine everything successfully? Sincerely, I’m looking for that balance, if there is anyone that has it, I would like to buy from such a person, for me it is about understanding your priorities and making life circle choices after defining what success is to you as that is what will drive your decision-making. It will help you see opportunities in your life journey. For me success is about raising my sons to become men that the entire family will be proud of, to define the benchmark of my success it is to raise my sons successfully such that I now have time to focus on me at this stage of my life. I believe that entrepreneurs are born and not made, but one can learn how to be a successful entrepreneur if they have an entrepreneurial spirit. Some people do not have a burning desire or passion to bring their visions to life. They do not have groundbreaking ideas they want to share and do not want to invest their life and/or their life savings in following their dream. Other people do not want to take on the responsibility of creating a business, growing a business, and employing other people. Even though some people find pleasure and fulfillment in this endeavour, others cannot fathom the concept. Being an entrepreneur is more than just being a businessman or woman, it is the ability to actualise your dreams and vision and have the passion and determination to persevere. Coming from a prominent family, has this really influenced your entrepreneurship drive? The manner in which the family I come from influenced my entrepreneurial drive, was the fact that both my parents were very enterprising, and passionate about their careers and the various ventures they later established, one of which was a furniture company. The thought of starting my own business was, therefore, a given. Most importantly however, the greatest influence I gained from my family is the value of hard work and integrity, and this is what has really guided me on my journey as an entrepreneur. Are there any mistakes you’ve made in business that you would want anyone doing business to learn from? Mistakes come with the territory of being an entrepreneur. I believe that the mistakes we make in business will differ from one individual to another, and that they sometimes form the bedrock of almost every business. The stories of successful entrepreneurs are littered with their mistakes and failures. For me, I started my business having not worked in a structured environment for long enough. I therefore did not appreciate the value of structure in the foundation and organisation of my business. As a result, it took me almost 15 years to establish sustainable structures that would allow my business to grow beyond myself. I would therefore advise all entrepreneurs to get a formal education and experience before venturing out on their own. In addition, simple mistakes made in your business should be regarded as the stepping-stones for growth and future achievements. What are the criteria for membership into WIMBIZ? Has the body attained its objectives so far? Has it been able to shape government economic policies in favour of women? WIMBIZ is a women’s focused non-profit organization in Nigeria, committed to elevating the status and influence of women and their contributions to nation building. To be a member, you must be a professional woman in business, the corporate or public sectors for at least 3 years and have attended a minimum of 2 WIMBIZ programs. Over the last 16 years, WIMBIZ has empowered and inspired women through our various programs. Our programs fall under four categories namely programs that inspire, empower, advocate or connect professional women and mentees. Our advocacy programs focus on influencing government policies for gender equity and parity. 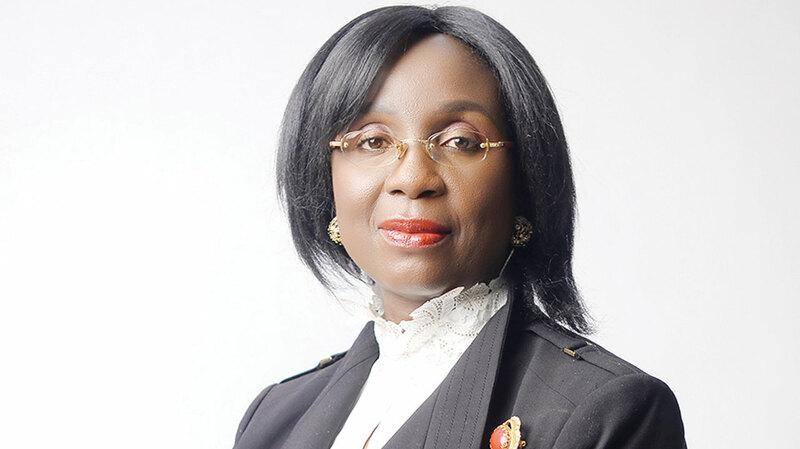 WIMBIZ has been instrumental in advocating for the representation of more women to serve on boards through its Women on Boards (WIMBoard) program. 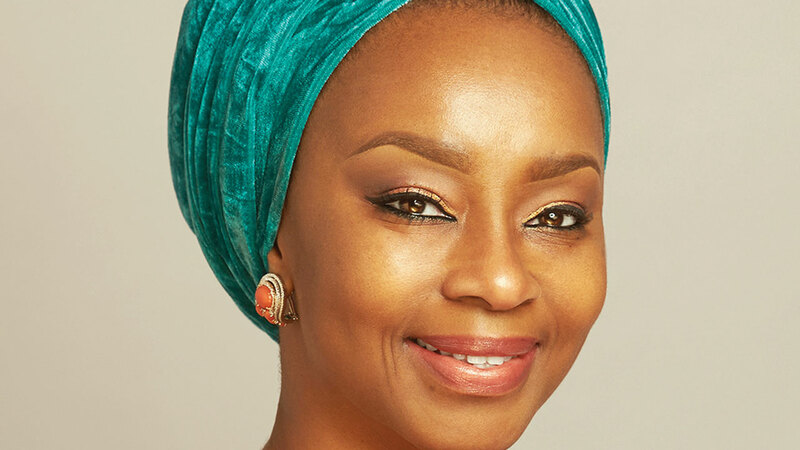 Such advocacy efforts a few years ago when the former Governor of the Central Bank of Nigeria HRH Sanusi Lamido Sanusi put a policy in the banking sector to ensure that all banks in the country had at least 30 representation of women to serve on Boards. We have also visited the Nigerian Stock Exchange and CEOs of companies to dialogue on the WIMBoard initiative. The journey may be slow and still long but it has started and we are energised to continue. Kindly assess women’s role and contribution to the nation’s economic development and their unharnessed potential. Research has proven that women contribute significantly to the nation’s development and growth if given an opportunity to. Significant economic empowerment among women means more earnings for families and more economic activity for the country. It also helps women contribute their quota towards nation building and communal living. Their contribution is best summarised in the words of late Kofi Annan, ‘When women thrive, all of society benefits and succeeding generations are given a better start in life’. Tell us about your formative years. Who has been your major influence in life? My mother was my first example of hard work, resilience and tenacity. She was a strong woman that sacrificed so much of herself to educate her children. The other two women that influenced my life so strongly as a young girl were Whitney Houston and Oprah Winfrey. I was intrigued by the voice of Whitney and the ability of Oprah to connect with people in a way that influenced a boomerang effect of actions. They were examples of young black women who were conquering the world and I was deeply inspired by them. They have influenced me to be true to myself and work hard at anything I do. They made me believe that anything is possible if you believe. Any female role models in business that you look up to? So many where do I start! Sara Blakely, The Owner of Spanx, I love how humble she is, how she tries her products before she launches and how family-focused she is. 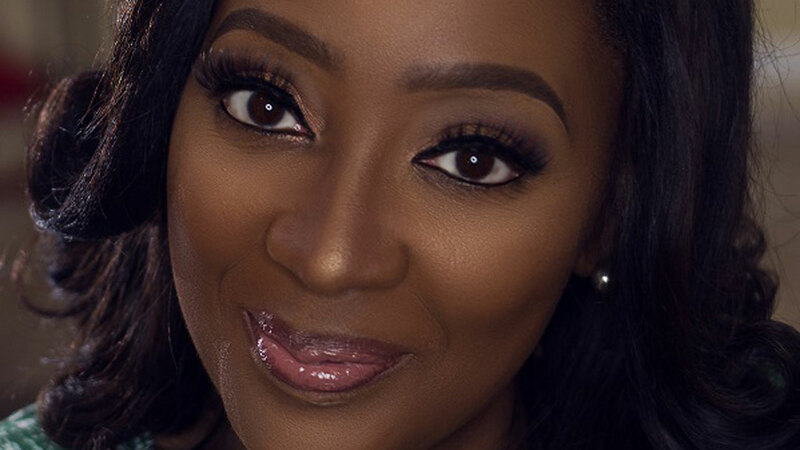 Back home I admire Kemi Adeleke of KFA Rentals, her work ethic is amazing an, last but not the least, Bolanle Austen-Peters, she has grown her brands and businesses steadily and organically over the years and is now an amazing phenomenon in the Art and Culture Space. On a daily basis, I love my glass of red wine and conversation while periodically traveling relaxes my mind, body and soul. 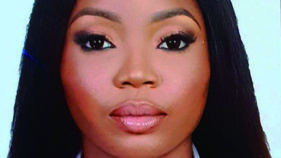 Why are you a member of WIMBIZ? 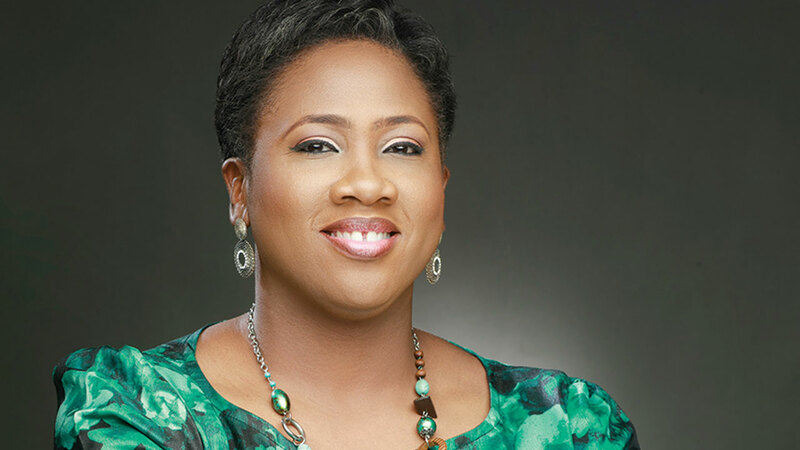 There are several reasons why I am an Associate Member of WIMBIZ. One reason for filling out the membership application form a few years ago was to equip myself with relevant tools that could assist with career advancement. However, after my induction, I had an even deeper understanding of each programme under the WIMBIZ platform and this stimulated my desire to serve within the organisation. Secondly, the fact that I’m able to use this platform to give back to society by inspiring and empowering women as well as advocating for gender inclusion in corporates, business and the public sector is indeed fulfilling. I’ll mention one programme that features at the top of my favourite list – The Big Sister Programme. The BSP is geared towards empowering young female secondary school students in public schools. My first stint at it was as a financial literacy teacher. Their desire to learn and ability to quickly digest the teaching notes left me elated. Each BSP I’ve engaged in has given me a great sense of satisfaction. Another reason that drove me towards securing my WIMBIZ membership was connecting with like -minded women. Given that I can be a bit introverted, deliberate networking is a necessity and my preference is at structured events just like the upcoming WIMBIZ Annual Conference which takes place on the 1st and 2nd of November 2018. I came across a quote that says, “behind most successful women is a tribe of other successful women that have her back “. This is true. I’ve been blessed with friendships and solid bonds, which were birthed from networking and connecting through WIMBIZ, I have an incredible ecosystem comprising of WIMBIZ sisters that consistently have my back and best interest. Mentorship, I’m a strong believer of avoiding mistakes by learning from others that are experienced and well-seasoned. ‘If I have seen further it is by standing on the shoulders of others’. Mentorship is at the core of WIMBIZ and becoming an Associate Member has provided increased access to mentors. 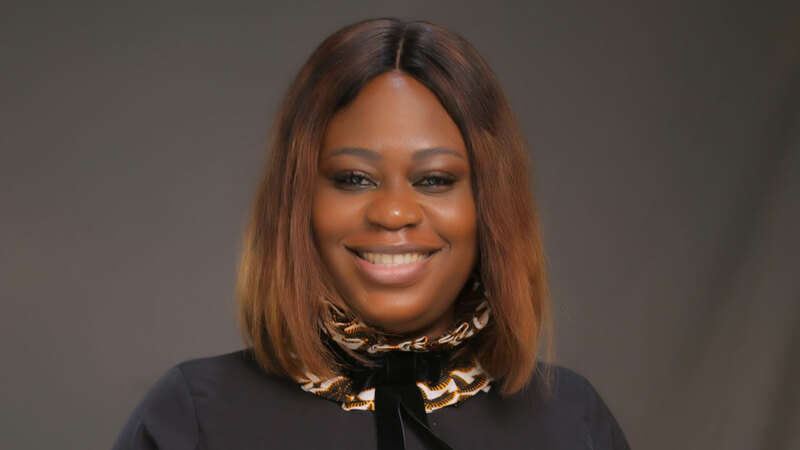 I could go on and on, but instead I’ll conclude with this – I have absolutely no regrets with regards to becoming a fully active WIMBIZ Associate and I remain committed to using this platform to inspire, empower and enrich women. Furthermore, I remain committed to being a catalyst that elevates the status of women in management, business & public service and their contribution to nation building.